It really is amazing how much English has changed. And if you think it’s hard to suss out Langland’s words, think about how much harder it would be for him to understand ours. While his spelling is a little unconventional to our eyes and a couple of his words rather tricky, we can figure out most of what he writes. Consider, though, if Langland tried to make sense of words like sashimi, Hawaii, email, doppelganger, genome, NATO, or pizza. 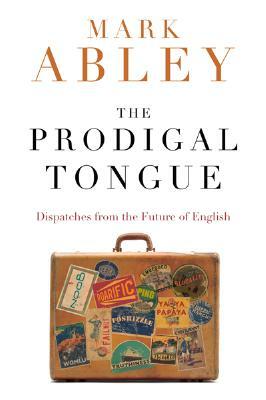 In The Prodigal Tongue Mark Abley gives us a peek at what the future of English might look like. He explores the ways that English is evolving in Asia, where it’s spoken by a couple of hundred million people and more are learning it every day. He considers the phenomenal rate at which new words enter English from other languages, especially in cosmopolitan cities like L.A. where, according to U.S. census information, 57.8 percent of people speak a language other than English at home. The appetite among young Japanese people for new English expressions is driving rapid and radical change in the Japanese language and gets a chapter of its own. Add to these discussions chapters on how hip-hop, technology, and science fiction are affecting English and you have one of the most interesting books about words that I’ve read in the past year. I highly recommend checking this one out.